Motivation is a necessary precursor to change, yet many clients are ambivalent about the process of change. 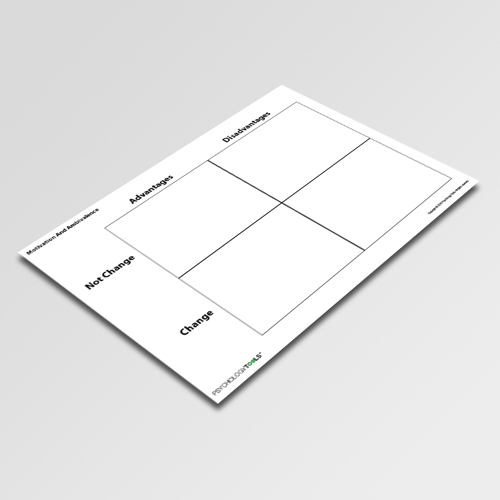 The Motivation And Ambivalence worksheets encourages clients to reflect upon the advantages and costs of changing vs. not changing. Motivation to change is a critical component of success in therapy, but not everyone begins therapy in an ideal frame of mind. 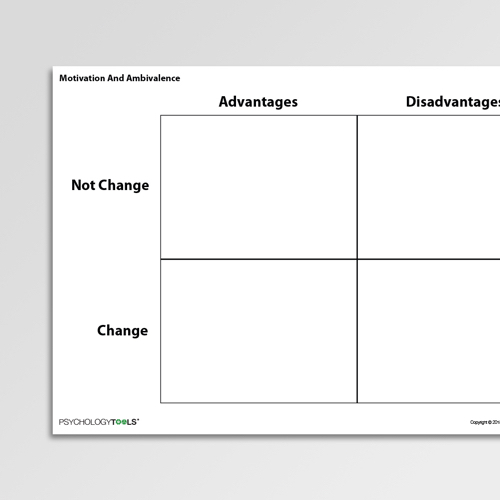 Motivation And Ambivalence is a worksheet which can help your clients to explore the advantages and disadvantages of ‘changing’ and ‘not-changing’. Therapists can take advantage of the recency effect by exploring the advantages-of-changing last. 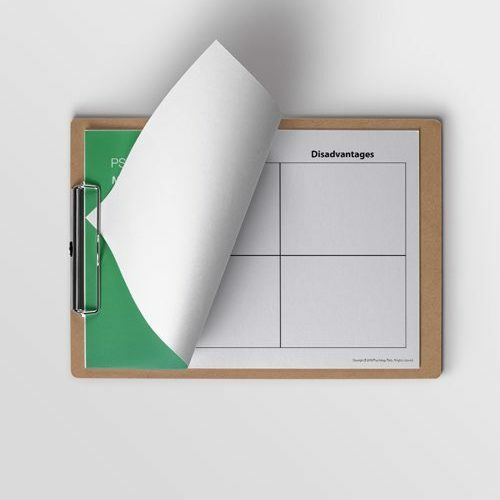 Clients should be guided to reflect upon a specific problem or situation, and to consider the advantages and disadvantages of ‘not changing’ and ‘changing’. 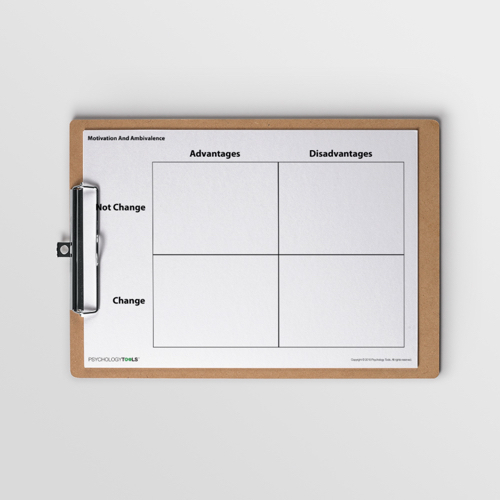 It is often helpful to consider the advantages of change as a final step in order to leave clients feeling hopeful about change, and to take advantage of the recency effect – clients are left ‘primed’ and aware of the benefits of change.